Can you believe she doesn't see much of a difference? And, no, I am not being superfluous in saying that! This is, without a doubt, my favorite success story I have ever read/heard/been a part of. Why is this one so powerful? Because it's some 30 years in the making AND because it's one of my favorite people in the entire world! Meet Sheryl. 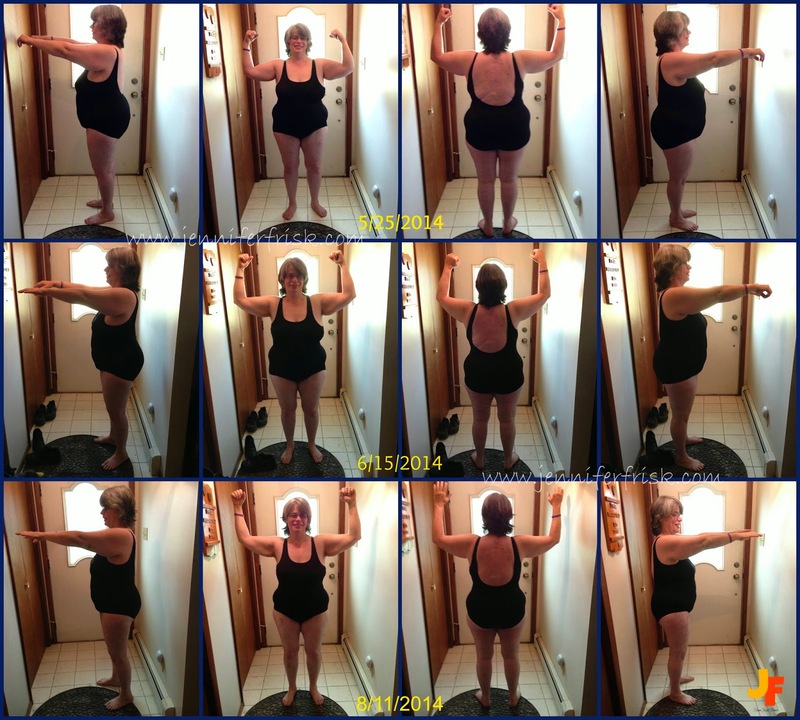 She's a young fifty-something who has managed to conquer pain and weight gain and fatigue with the help of Team Beachbody. In just three months, this woman has lost 40 pounds and found a new zest for life. In all seriousness, though, I want to concentrate on what she has GAINED just as much - if not more so - as what she has lost. (Oh, and in case you're wondering, over the course of three months, she has lost 40 pounds. Not too shabby, eh?) To understand a little of what she's gained, you have to know some of her story. First of all, she's been overweight most of my life. Now as a child, I thought she was perfect. She was warm and welcoming, and she had the perfect lap to climb into for the many many books I wanted to read. She was beautiful to me, and I didn't understand, then, when she always said she needed to lose weight. As time went on, though, her weight began to take its toll on her body. She's experienced aches and sometimes incapacitating pain - all while being the sole breadwinner and "handy man" around the house. She finally reached a point where she hurt constantly in her ankles, knees, hips, and back. She began to feel like she couldn't keep up with what needed to be done. And she made the decision to change. Her goal? To lose 100 pounds so that she could move without pain. But she was discouraged before she even began because of the sheer magnitude of her goal. So she watched. And waited. And watched some more. She heard other success stories; she saw some changes in me. And she finally went all in. I feel better than I have in years and am able to do things that 3 months ago, I had given up on doing. I do not have to go down steps backwards!!! I can actually go down steps the normal way!!! I can bend over and reach the ground. I am not as awkward in my movements. When I wake up in the morning, I can get out of bed and go about my business without hobbling around until my joints loosen up. Bottom line, my body is functioning much more like it should. Is that not THE best thing you've ever read??? I cannot even begin to tell you how excited I am for her! She is WELL on her way to meeting her goals, and she is feeling so much better! Want to be your own success story? Want to see your own results? I'd love to be your cheerleader, your teacher, and you motivation source! My next challenge group starts September 1. Will you be in it?